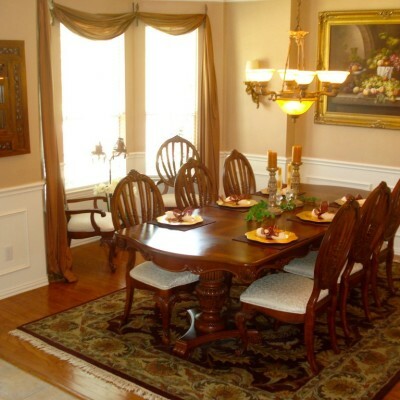 Formal Dining Room Designs-well guys, Let’s talk about formal dining room design. 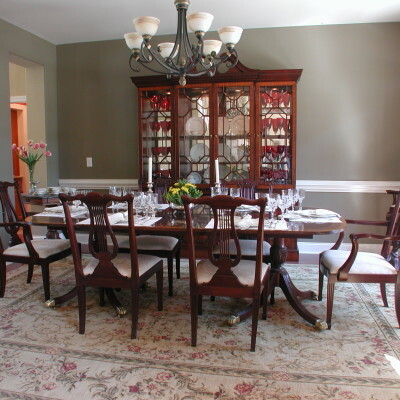 The dining room is one of the most important parts of the house. This is the place where people dine together and convene as a family or a group of friends, and strengthen relationships and bonding through meals or casual get-together. 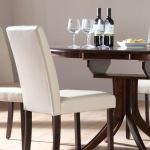 Therefore, your choice of dining room furniture is very important. 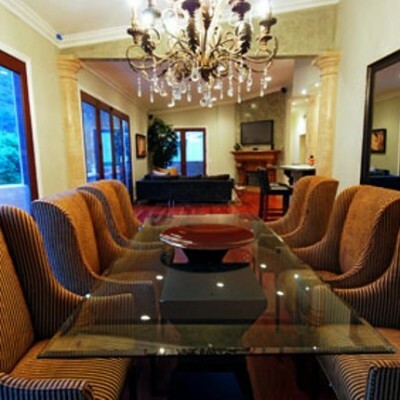 Formal dining room designs Ideas, in particular, are great for entertaining guests for smarter, dress-up type occasions. 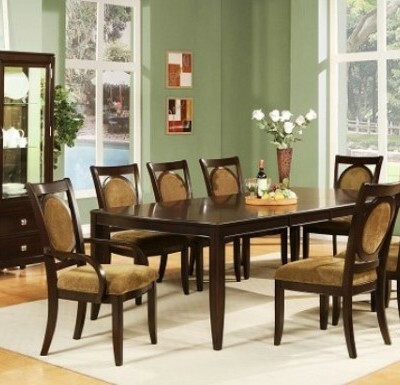 Whether it’s a graduation party, or an intimate gathering that makes use of formal utensils and table settings, choosing the right formal dining room sets does a lot to set the right mood within the group. This is also where place settings take their cues from. 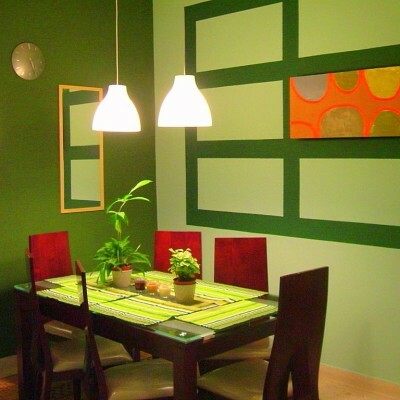 In fact, you could say that they form the foundation of a great-looking dining room setting. If all is in place with your dining room tables and chairs, then your guests should have no problem feeling comfortable when they come over. 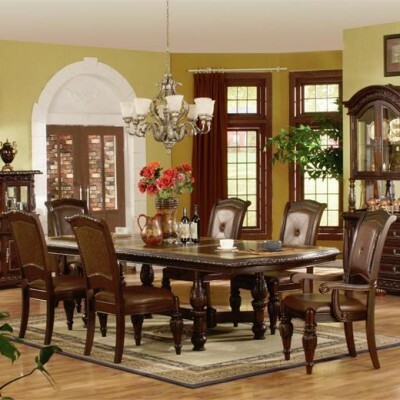 If you plan to have a new formal dining room design for your home, it’s wise to have a basic understanding of the design options available to you. 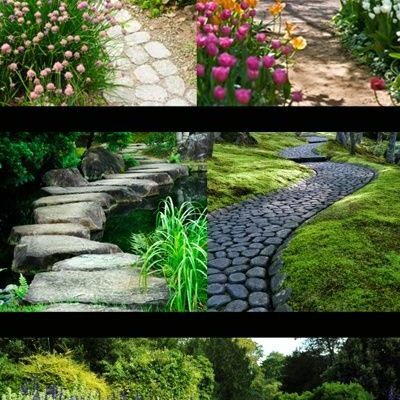 keep in mind that it is not always best to choose designs that are ostentatious and eye-catching. Remember that your dining tables have to fit right into the space you are placing them into, and not stick out like a sore thumb. Less is more, so keep it simple. 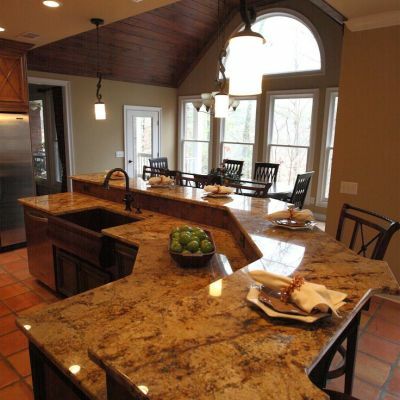 The best way to choose the right design for your home should be based on the type of mood you want to set, relative to the mood the rest of your house already sets. 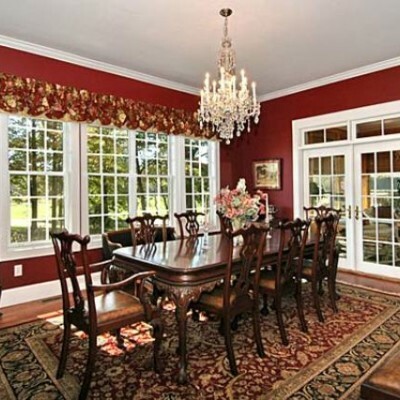 Size Small formal dining room design feel overcrowded if dressed with heavy furniture, dark walls and heavy drapes. In contrast, large rooms feel empty if the dining table is too small, there are few furnishings and the walls are light-colored. 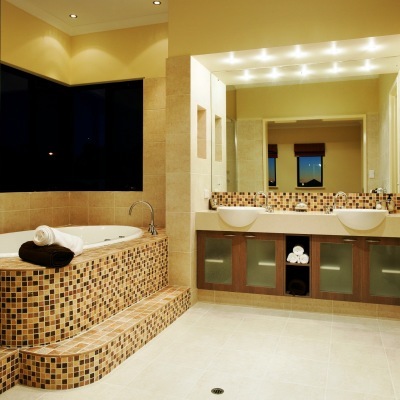 Ideas to enhance smaller rooms include adding an additional window or wall cutout to add new dimensions to the space. Windows that open into the kitchen are particularly useful. For larger rooms, tall plants, rich drapes or extra pieces of furniture, e.g. a wine rack, can be tasteful additions. 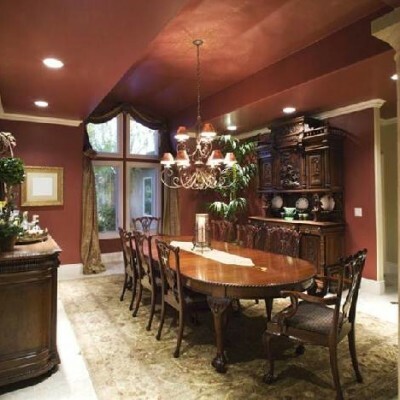 Traditional Formal Dining Room Design-Formality Opting for either a casual or formal dining space will impact your design choices. 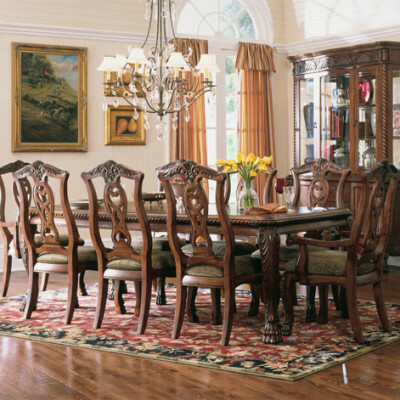 For formal spaces, a heavy wooden table with special finish and a fine china cabinet could be chosen. In comparison, for casual spaces, you might decide on a round glass table and a colorful rug to compliment your room. 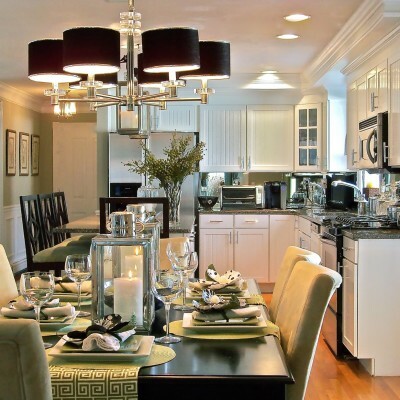 The frequency with which you intend to use your dining area should help steer your formal dining room designs choices, too. You might choose more opulent furnishings for a formal area used only on special occasions as wear and tear isn’t a concern. 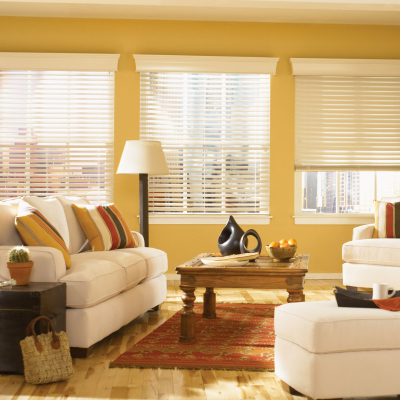 For your casual room, you might need fabrics and accessories that are suited for frequent use.